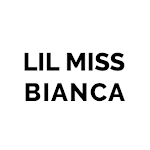 LILMISSBIANCA caught up with New York-based digital illustrator Shana Cinquegrana to share with us the highs and lows of her career as a digital illustrator; her life before deciding on a career that she actually loves; and an incredibly practical advice that will benefit all young girls out there — me included! You were a bartending artist before you became a full-time illustrator. Can you tell us what your life was like during those times? Fun, wild, & at times highly counterproductive. I was learning about relationships and all kinds of young adult drama. Before becoming a digital illustrator, I used to paint. I loved painting on found objects like old chairs, small furniture items or pieces of wood. I would show and sell my paintings in the bars and clubs I worked at. Did you always dream of being an illustrator from the beginning? Yes! Drawing has always been my favorite activity. Fashion girls were always my subject matter of choice. Being an artist was plan A from day one and all my other jobs were just to help fund it. Girl's gotta pay the bills! "Every success story starts with detours, rejections and embarrassments. That is what makes us more interesting and likable." What is the most difficult part of starting out as an illustrator? You have to develop your own style. It's important to know what the trends are, and what "sells" but, more importantly, you have to put your own spin on it. A good illustrator is someone who is constantly drawing. Not everything you do will be a masterpiece. It isn't supposed to be. The momentum that comes from practicing your craft allows you to become lost in your work. That's when the magic happens. Difficulty comes with being impatient or comparing yourself too much to others. Productivity is a cyclical thing and you can't always force it. Persistence. When you are doing something that you really love and you lose track of time doing it, you can tap into that flow. That's when you are your truest self doing what you are meant to be doing. You need to figure out what you love and then get good at it. Find your gift and then share it to the world. What's one piece of advice you wish you'd known in your teenage years — life and career wise? Be kind to others and most of all to yourself. Have a sense of humor. Don't let negativity bring you down. And if you do find yourself in a dark place, use it to create art or to understand yourself better. Don't let other people's opinions — good or bad alike — change who you are. Mistakes are part of growing up and usually lead us to our true path. Every success story starts with detours, rejections and embarrassments. That is what makes us more interesting and likable.